Our Regular Item ”S&B ORIENTAL CURRY POWDER” Will be Renewal Design. As a Memory of This Renewal, We made collaboration's cooking recipe using Curry Powder & Sunflower Mackerel. 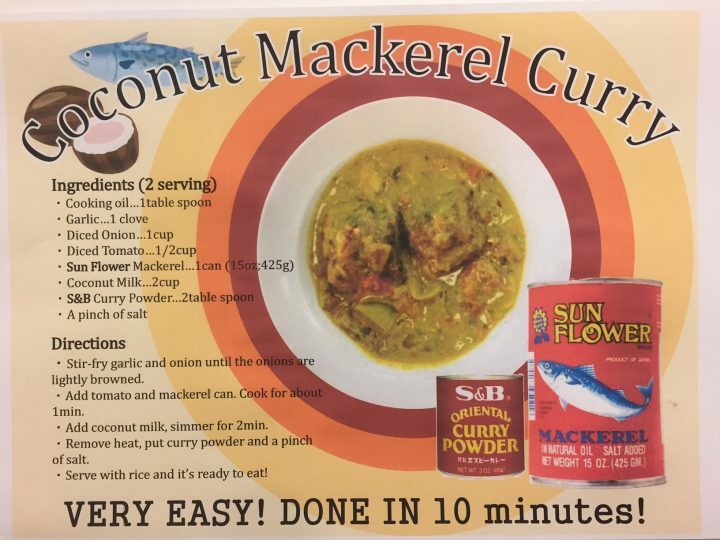 This is Coconut Mackerel Curry. Let's try Cooking and Taste. Full Charge for you. © KYOWA SHOJI CO., LTD. All Rights Reserved.